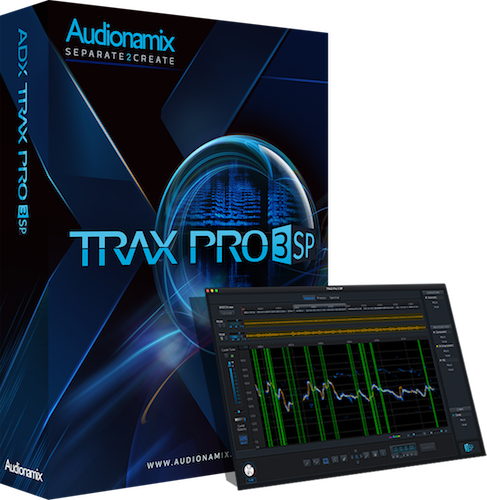 TRAX 3 SP builds on the foundation of the award-winning software, ADX TRAX, to offer the first full-feature, automated speech separation software. Separate, isolate and remove melodies, vocals, speech and dialogue from full mono or stereo mixes. TRAX 3 SP introduces a speech-optimized separation algorithm which automatically detects and separates speech, allowing you to extract or remove dialogue from background elements. TRAX 3 SP also includes a new automatic consonants detection feature to help maintain the clarity of the separated voice. We’ve also expanded the lower pitch range on separations to improve the performance of the software on deeper voices. The addition of the speech algorithm means more creative options, so TRAX 3 SP streamlines the separation workflow with new automatic extraction options. Drop in your audio file and easily select to separate dialogue, melodic content like vocals, or both.